While the EU terrorist list is often presented as an efficient tool for European security cooperation, it also says a lot about the European subjectivity regarding the concepts of terrorism and counterterrorism. The European Union (EU) terrorist list is fundamental to European counterterrorism: by agreeing on who is considered a “terrorist” and who is not, European states determine the scope of their cooperation. Yet, despite being a defining element of European counterterrorism, the EU terrorist list is rarely questioned as such. 9/11 was undeniably a turning point in international counterterrorism cooperation. Among the changes resulting from the attacks, the increasing resort to “terrorist lists” was noticeable. Surely, the practice of listing was not a novelty: the first step in any counterterrorist policy is to determine who the terrorists are. Accordingly, the designation of terrorists (either through a definition of “terrorism” or a list of “terrorists”) has always existed. Yet, the increasing use of lists reflected a pragmatic shift. Defining terrorism in general was no longer sufficient to design practical and coordinated counterterrorism policies, in an era where the emergency of the “terrorist threat” was perceived as high. It is in this context that, on 27 December 2001, the Council of the EU (composed of the ministers of Member States – since terrorism issues fall under the area of competence of the “Area of Freedom, Security and Justice,” it is mainly managed by Ministers for Justice and Internal Affairs) adopted its Common Position 2001/931/CFSP establishing a “list of persons, groups and entities involved in terrorist acts and subject to restrictive measures.” Still in effect today, this list constitutes one of the cornerstones of European counterterrorism, as the main tool for the EU to designate actors who are considered “terrorists.” Yet, this list is not only to be understood as a functional means on which counterterrorist policies can be based, it also says a lot about the nature of European counterterrorism, which is politically biased and lacks judicial control. How does the EU terrorist list work? Let’s first examine the basic mechanisms of the list. Its establishment follows the UN Security Council Resolution 1373 (28 September 2001), binding states to improve their counterterrorism apparatuses. In this respect, this list is often referred to as an “autonomous” list, complementary to the UN sanctions list targeting Al-Qaeda and the Taliban regime (the latter being now replaced by the Islamic State) which was implemented in parallel by the EU. In short, the listing of an actor is proposed by a Member State (or a third state), examined by the CP 931 Working Party (an informal committee composed of representatives of the Ministries of Justice and Internal Affairs of Member States), which then makes a “recommendation” that must eventually be accepted unanimously by the Council. The list is then reviewed every six months, while in parallel, an actor can be delisted following a request from a state or from the actor himself. The restrictive measures (sanctions) applied to listed actors are twofold: 1) those designated “terrorists” will have to face enhanced police and judicial measures and, in addition, 2) non-EU actors who are put on the list will have their financial assets frozen. A first striking aspect is the imprecision of the listing criteria. Indeed, the Common Position starts with a long article providing two definitions (one for the “persons, groups and entities involved in terrorist acts” and another for the “terrorist act” itself), whose utility is directly undermined by the first paragraph of Article 1: “This Common Position applies in accordance with the provisions of the following Articles to persons, groups and entities involved in terrorist acts and listed in the Annex.” In other words, the “terrorists” upon whom sanctions will fall, are not designated based on an objective definition but rather by the list itself, which is established by the Council. In a nutshell, the designation of the “terrorist” fully depends on the (subjective) opinions of the ministers present at the Council. What is more, definitions remain vague and leave room for interpretations. Article 1 paragraph 2 implies that the “terrorist” is he who commits “terrorist acts;” on the other hand, Article 1 paragraph 3 states that the fact of “directing a terrorist group” or “participating in the activities of a terrorist group” can be designated as “acts of terrorism.” Put differently, the “terrorist” is he who commits “terrorist acts” while in the meantime, “terrorist acts” are those committed by “terrorists,” which is a tautology that ultimately leaves counterterrorism in the hands of arbitrary (political) interpretations. Fair enough, a list does not provide an objective definition of “terrorism,” so what? While terrorism experts have focused almost exclusively on how to improve counterterrorism from an operational standpoint, the listing method has notable shortcomings. If the designation of “terrorists” is not based on clear criteria, then the listing procedure is totally arbitrary and constitutes the first step towards unchecked counterterrorism: the list can then be used (1) to delegitimize any actor which the Council will decide to designate as “terrorist;” and (2) to justify any radical “counterterrorist” repression against these same designated “terrorists.” In this sense, the list paves the way for a potential drift of European counterterrorism towards a “state of exception,” where the fight against terrorism would become a justification for controversial and extra-judicial practices. Listing and delisting procedures confirm this concern: the whole process is in the hands of European executive powers, with almost no actor being able to control it. 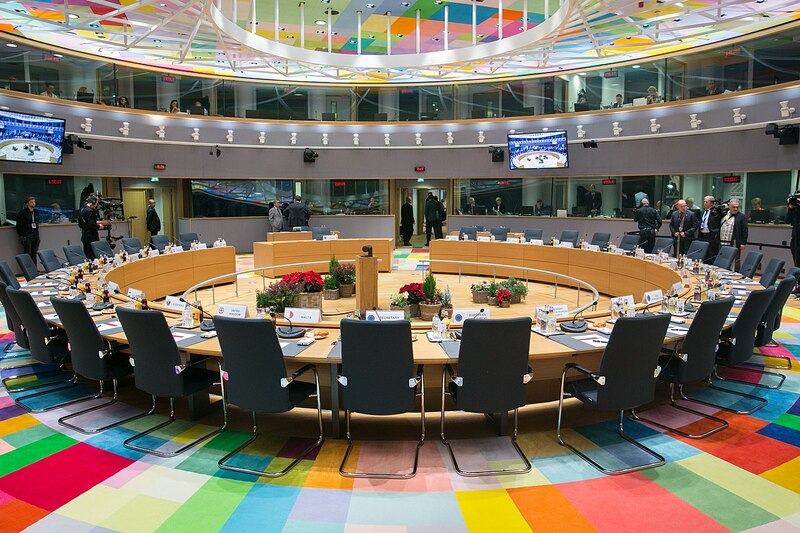 Are there really no options for other actors to discuss the decisions taken by the Council and the ministers of Member States? There are, but they remain quite limited and – so far – pretty ineffective. As mentioned previously, listed actors can themselves ask for a review of the decision. Europol can also intervene in the examination phase, but in any case, the final decision always goes to the Council. The main safeguard comes from the European General Court which has in the past nullified some decisions of the Council (such as that against the People’s Mojahedin Organization of Iran, listed in 2002 and delisted in 2009). Still, the delisting process takes time and does not prevent the listing of an actor from having lasting effects. In any case, the Court can only judge the legality of the listing (the procedures), but not the political motivations for imposing sanctions in the first place. In short, listing procedures are almost entirely in the hands of the Council (so in the hands of national governments by extension) whose scope of action is only limited by the requirement of reaching unanimity. Ambiguity also resides in the nature of the “terrorism” which is to be combated, with a clear tension between “terrorism” as an external threat and as an internal one. The first interesting point is the area of competence of the EU the list falls under. Unlike counterterrorism, which is part of the Area of Freedom, Security and Justice (AFSJ), the list is part of the Common Foreign and Security Policy (CFSP) area of competence. Since unanimity is required for issues that fall under CFSP competence (but not for AFSJ), decisions to (de-)list must be taken unanimously. On the other hand, issues regarding the list are managed by Ministers for Justice and Internal Affairs rather than Foreign Ministers, which is a consequence of counterterrorism as part of AFSJ. This hybrid result says a lot about how the list is conceived: it is not merely part of an internal security and judicial apparatus (otherwise the list would fall solely under AFSJ); it is also considered as a part of European foreign policy. In this respect, the EU terrorist list can be understood as a tool for producing a European counterterrorist discourse directed towards non-EU actors. By saying who the terrorist enemy is, the list can therefore be a powerful ideological weapon. In 2001, listed individuals were almost exclusively ETA (Euskadi Ta Askatasuna – a Basque separatist group) activists; about half of the “groups and entities” were Irish organizations, and the rest were communist groups (except for two Palestinian organizations). In 2009, many jihadists joined the list of individuals; half of the “groups and entities” had an Islamist ideology, and the rest were still communist and Irish organizations. 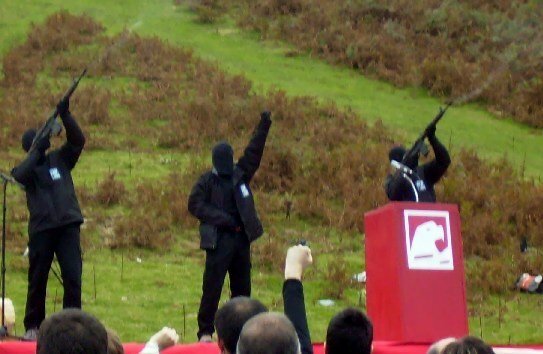 In 2017, ETA activists were all removed from the list of individuals as a result of the official disarmament of the group. Consequently, the list of individuals was now only composed of jihadists, whereas the “groups and entities” were almost exclusively Islamist organizations, with the exception of a few non-European communist groups (the Filipino New People’s Army, the Peruvian Shining Path etc.). While at the beginning, transnational jihadists were barely listed, “national” or European individuals were predominantly targeted. 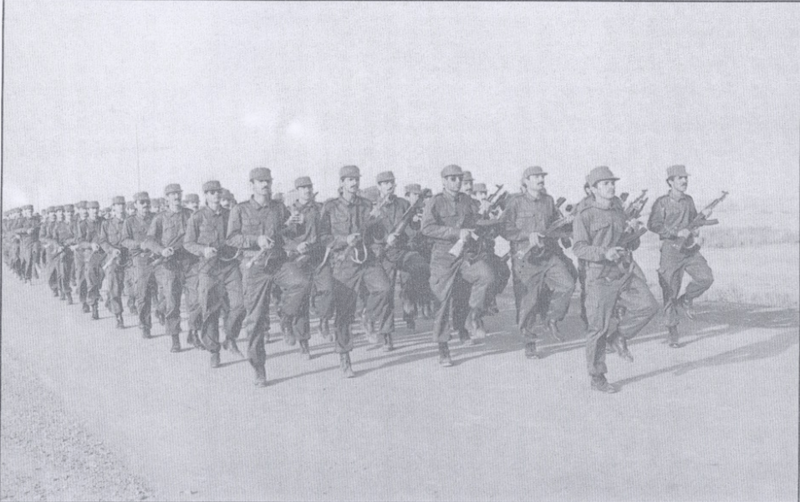 It can be assumed that there was no consensus on international actors (no unanimity could be reached, which is not surprising when considering the lack of coordination of European counterterrorism at that time), while as regards internal actors, the list only formalized pre-existing cooperation. Subsequently, the growing focus on transnational and jihadi actors reveals that a consensus on who the EU perceives as its “common enemy” has been progressively reached, making the list now productive of a coherent and homogeneous counterterrorism discourse. To sum up, the EU list is problematic because (1) it is not (and it cannot be) based on objective criteria and is thus, inevitably politically biased; (2) the listing (and delisting) procedure gives all the power of designating “terrorists” to European executive branches and, as such, (3) the content of the list reflects the main interests of European governments and the level of consensus among them regarding the nature of terrorism. Why is that so problematic? It is undeniable that today, the label of “terrorism” is emotionally charged and can be used to legitimize radical policies – generally speaking, rulers tend to declare exceptional measures (if not the state of emergency) in the name of what is now regarded as a “war” against terrorism. If the resort to such “extra-legal” practices is primarily justified by a framing of “terrorism” that is itself biased and arbitrary, then the whole counterterrorist apparatus can be considered to be entirely in the hands of unchecked European executives. The same can be said about European counterterrorism discourse at the global level: using this biased designation of “terrorism,” European states can potentially justify any form of intervention or sanctions. In a more abstract perspective, the EU terrorist list shows that it would be misguided to question terrorism and counterterrorism simply by departing from an objective definition of “terrorism” (as a tactic, as the intentional use or threat of use of violence for attaining specific political goals, etc.). In other words, the proper understanding of any counterterrorist policy does not require to ask “what is terrorism?” but rather “how is ‘terrorism’ perceived by counterterrorist actors?” Since the answer will rarely correspond to an objective definition of the concept, then it may matter to question (inter-)governmental lists and definitions. In sum, the list appears as the main tool for justifying a counterterrorism whose primary aim is to reinforce European governments against their perceived opponents, both internally and externally. Carl Schmitt stated in his 1922 book, Political Theology, that “the sovereign is he who decides on the exception.” The list, as the primary determiner of where the counterterrorist exception applies, is a crucial component of European governments’ sovereignty and must be questioned as such, rather than considered as an objective security tool.